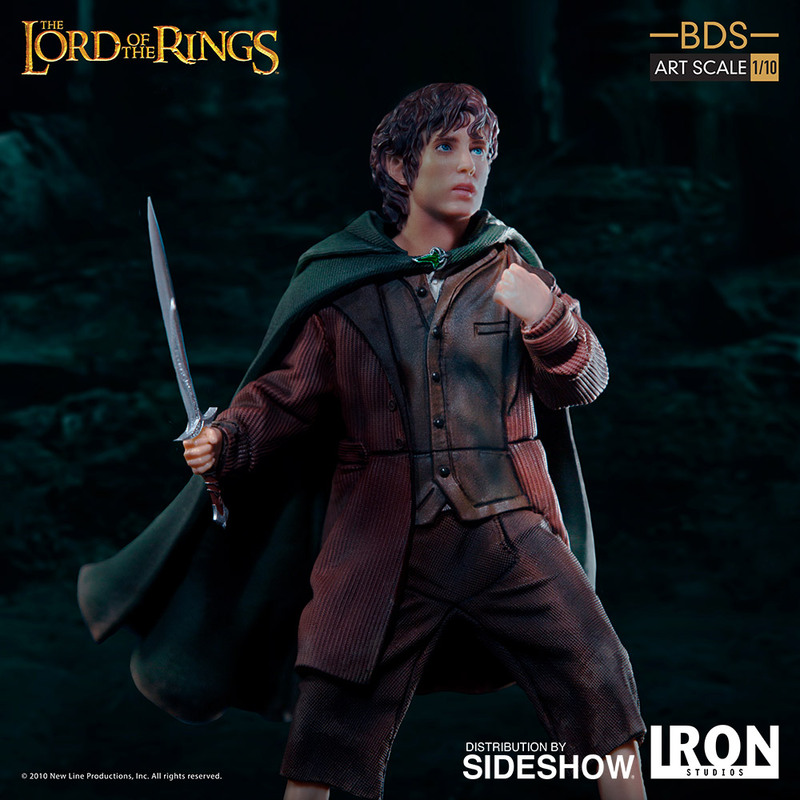 Frodo Baggins, Bilbo Baggins's nephew, was living a pieceful life in the Shire when Gandalf, the grey, called him to the quest of his life. 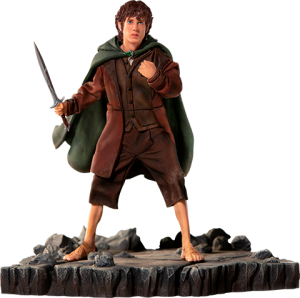 He was the bearer of the One Ring, best friend of the gardener Samwise Gamgee, and a member of the Fellowship of the Ring. 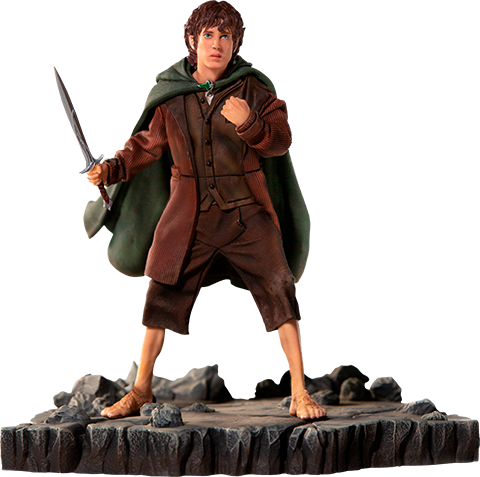 After the destruction of the Ring at Mount Doom, he was one of the only three Hobbits to ever sailed from Middle-Earth to Valinor. 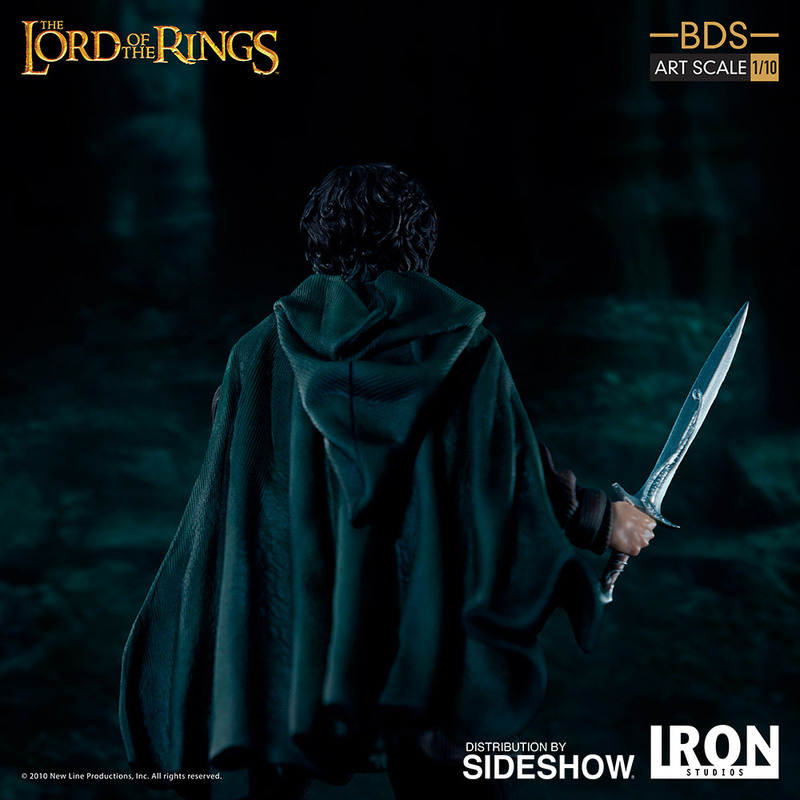 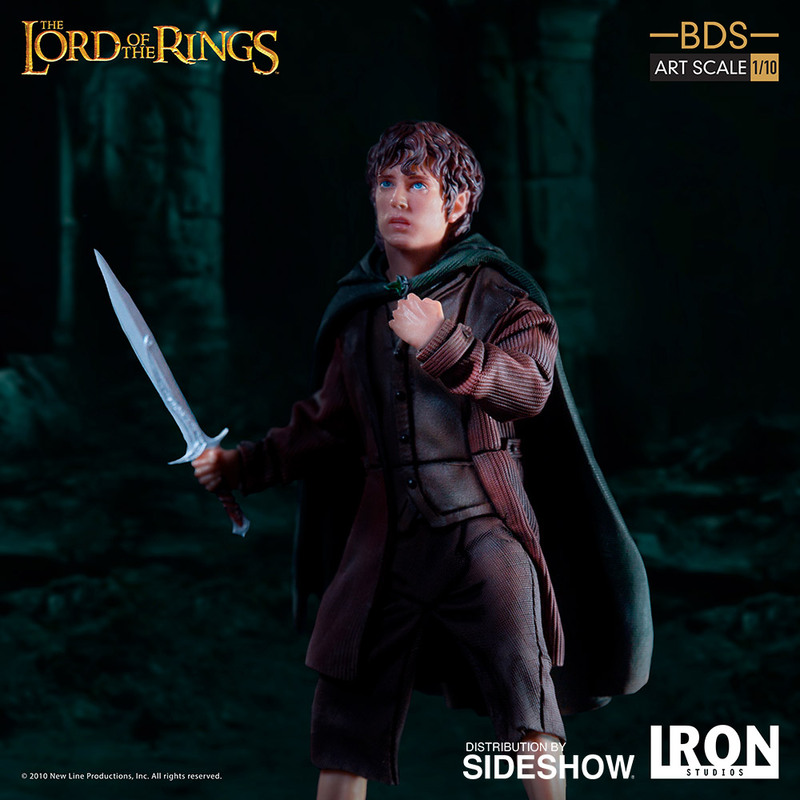 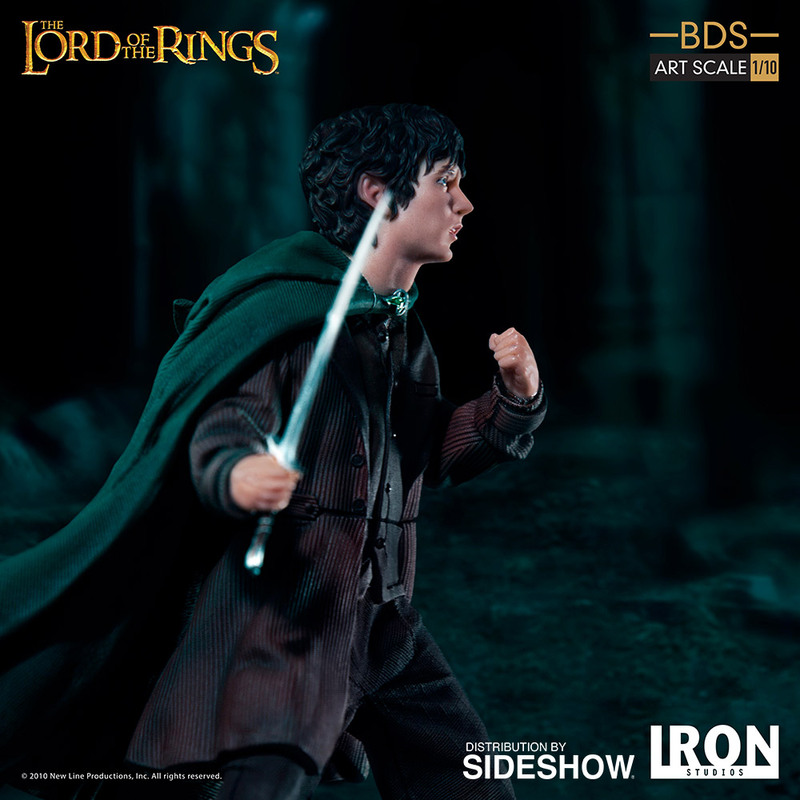 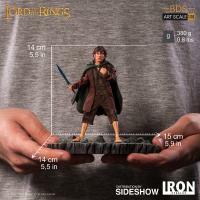 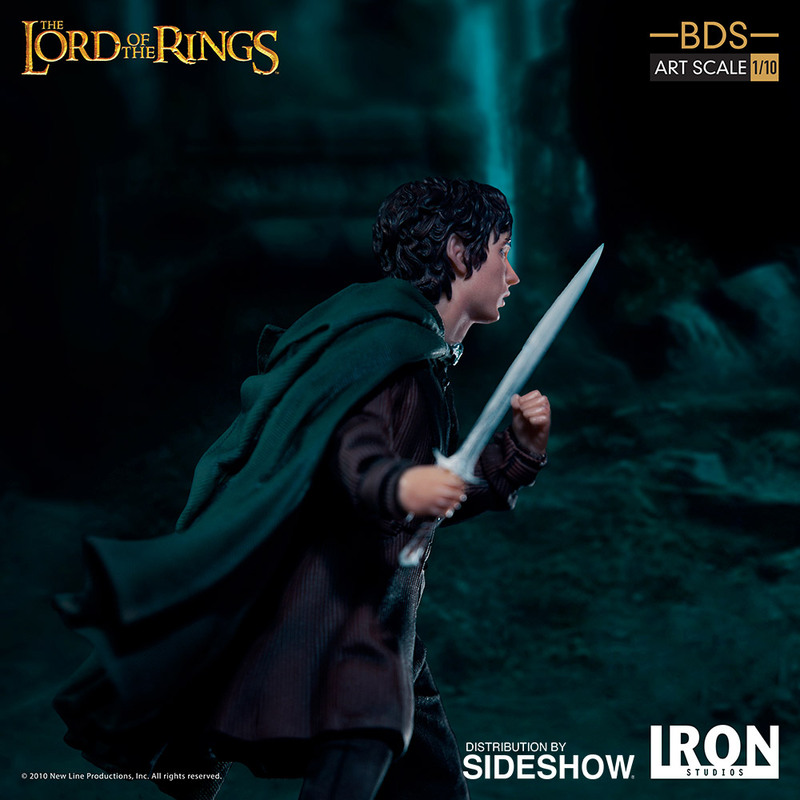 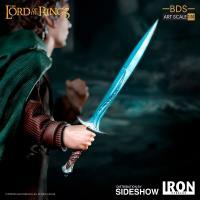 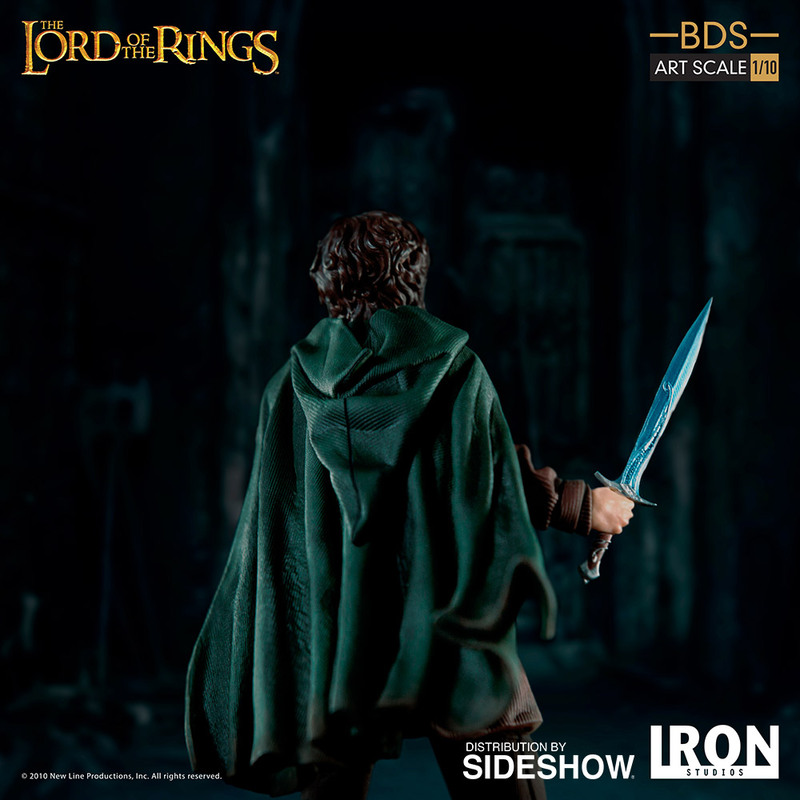 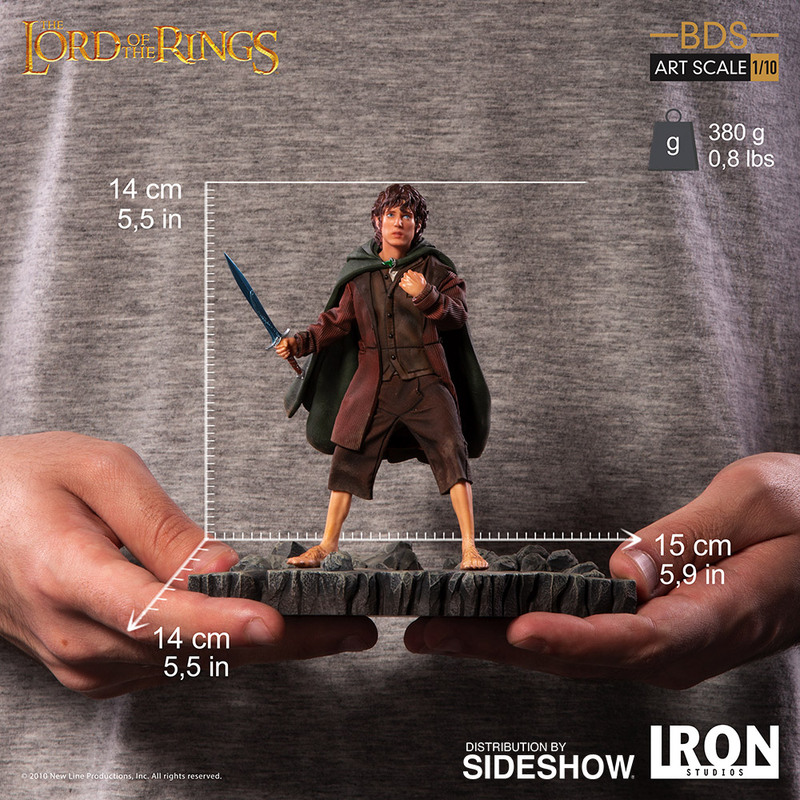 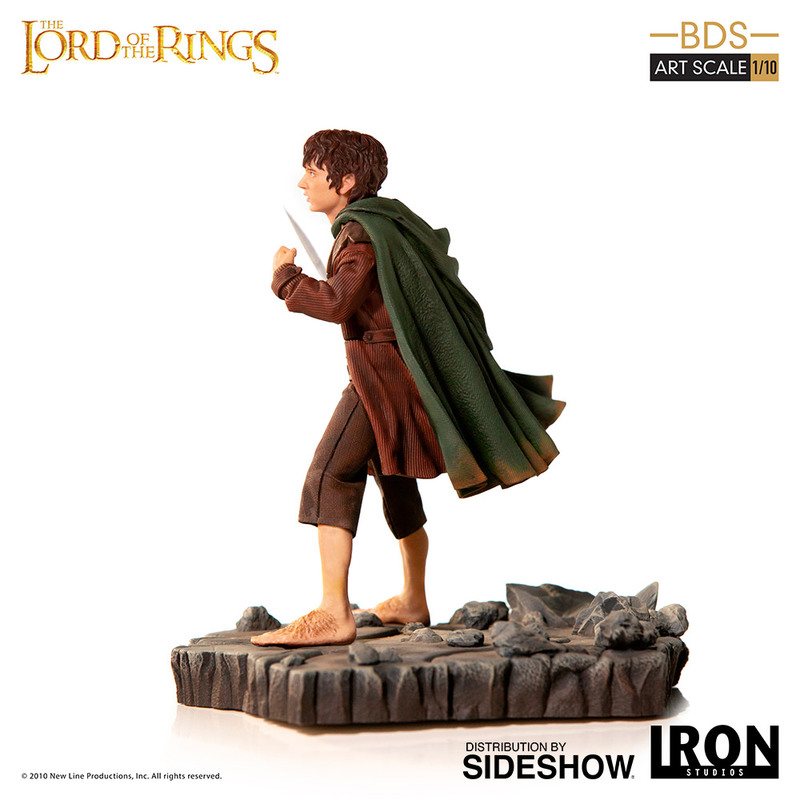 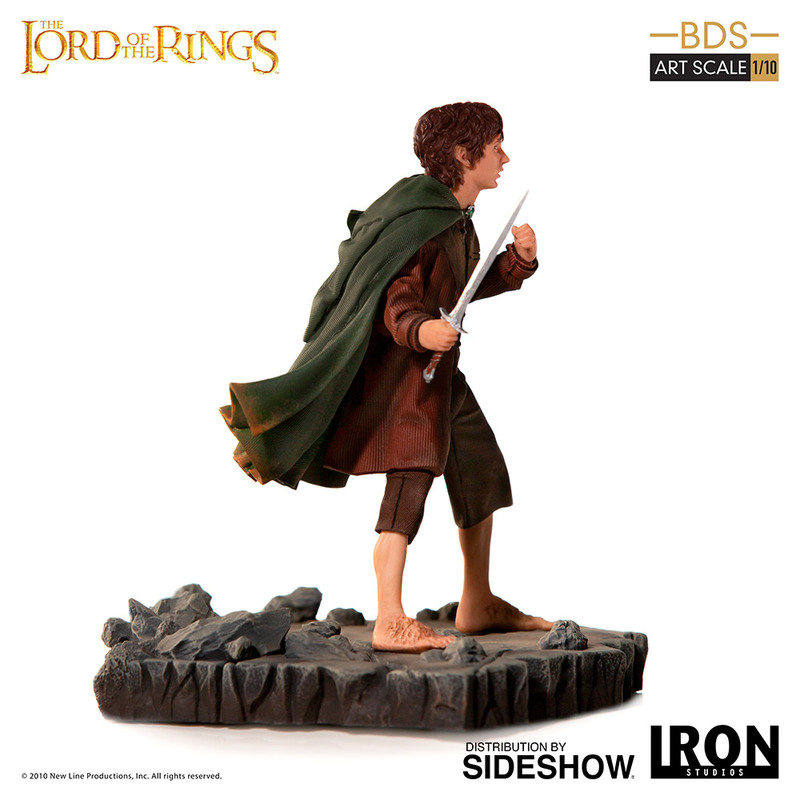 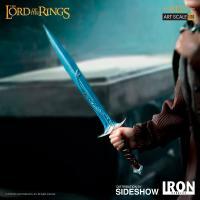 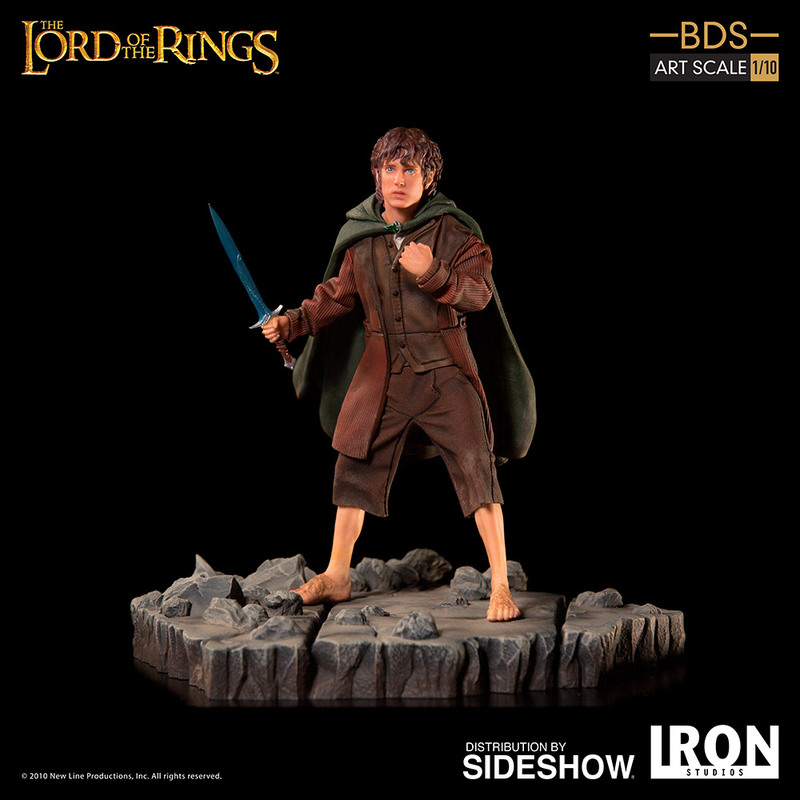 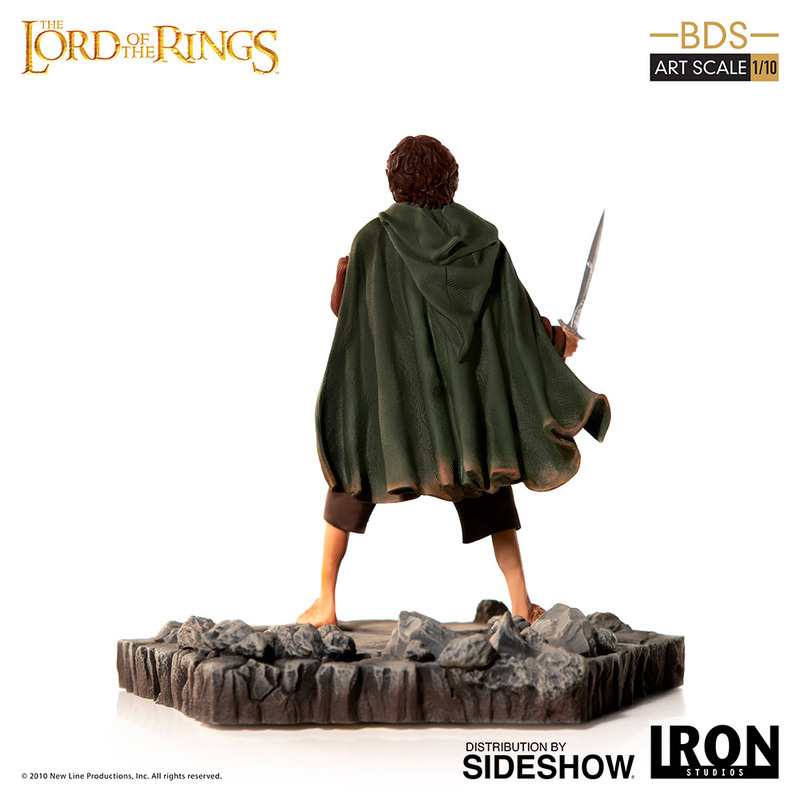 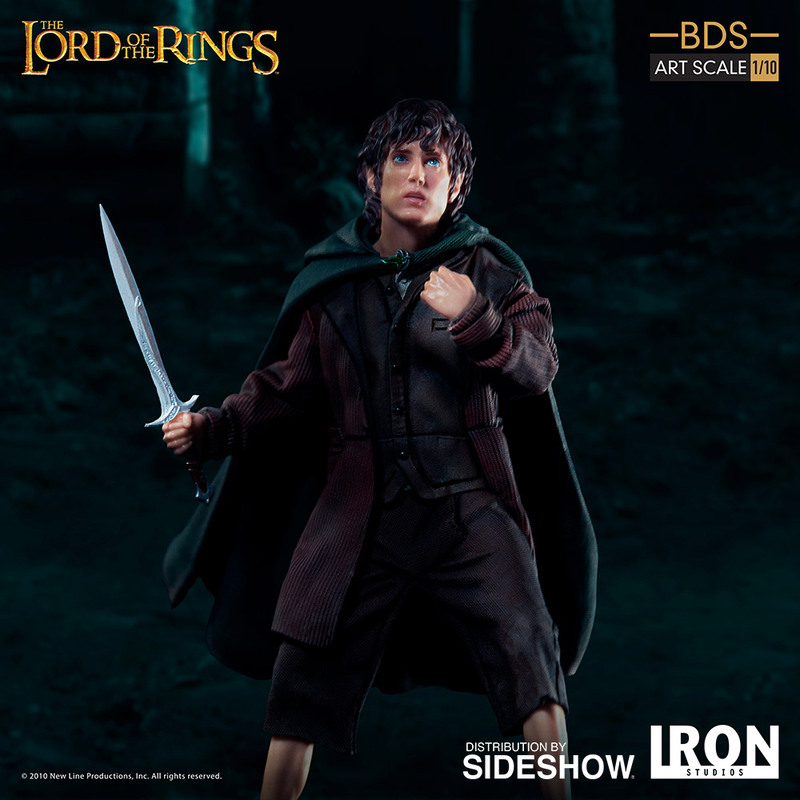 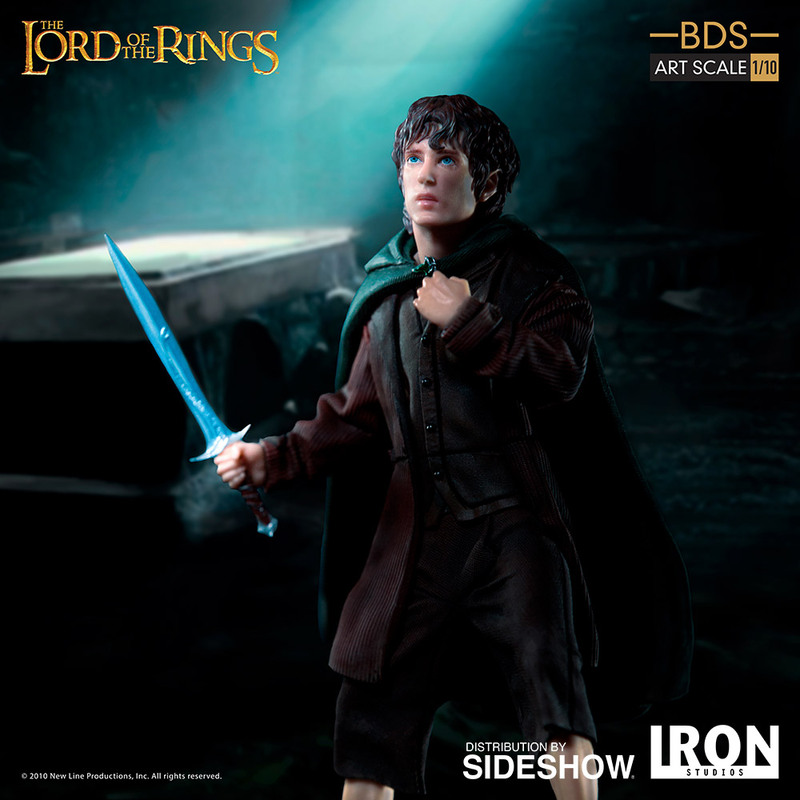 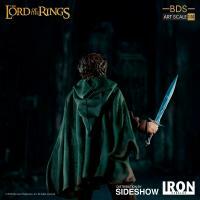 This 1:10 Art Scale version of Frodo brings characteristic details that represent the character throughout the trilogy, like the Sting and the Leaf of Lórien. 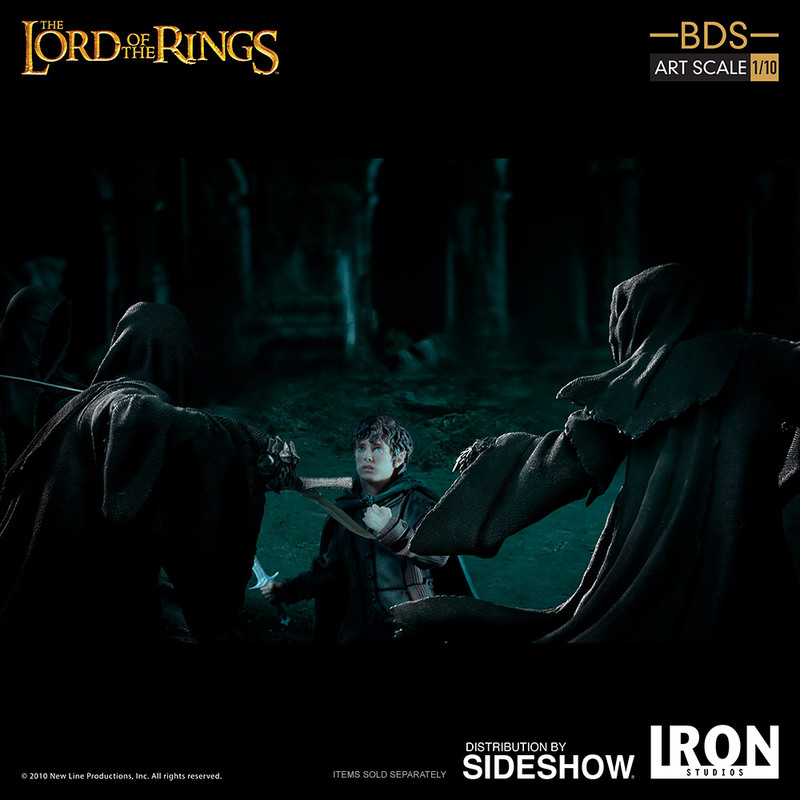 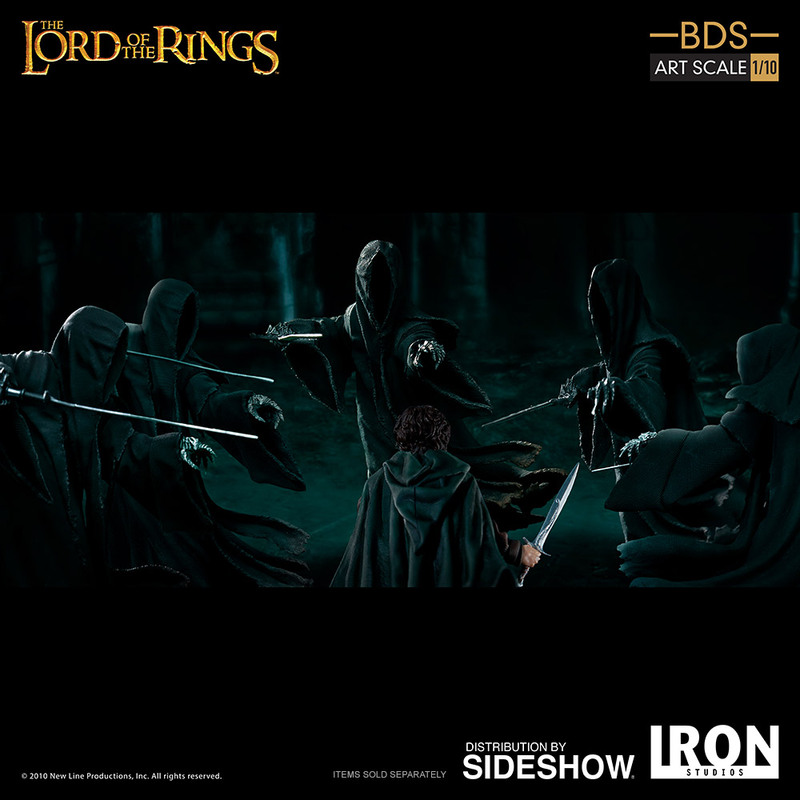 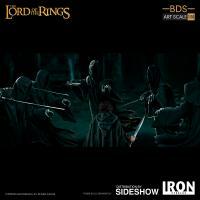 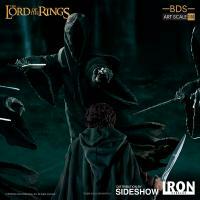 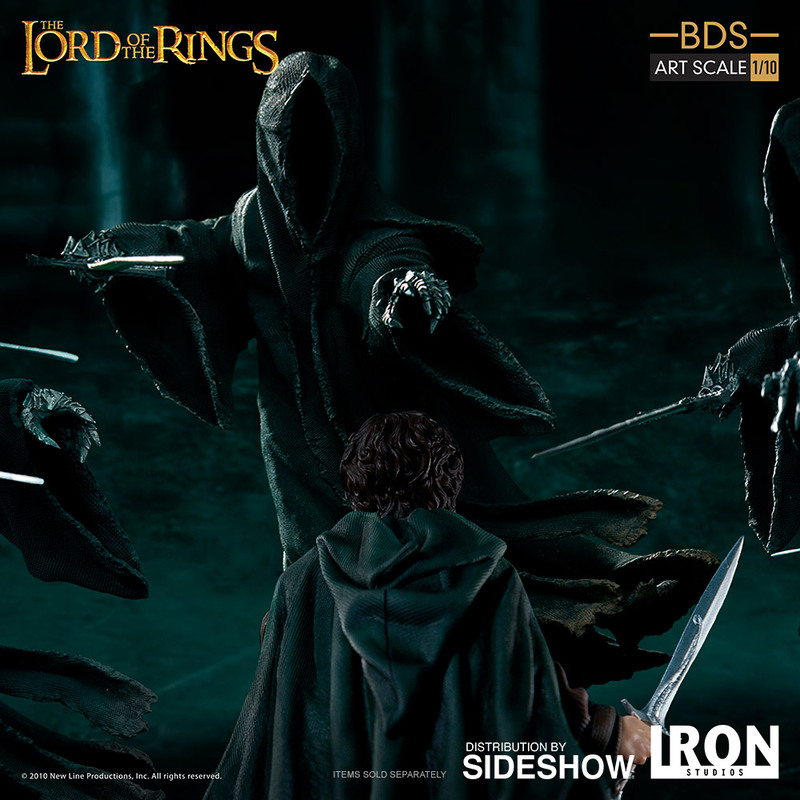 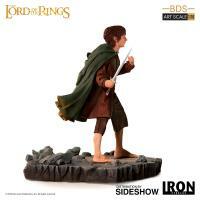 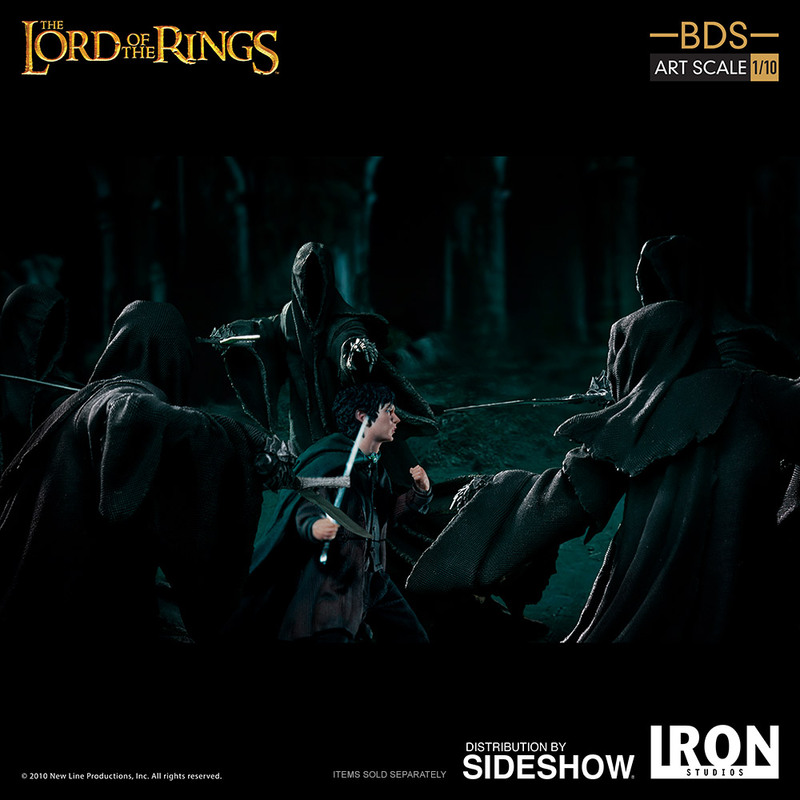 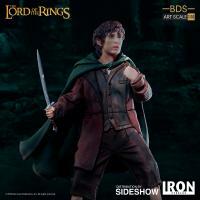 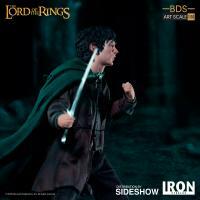 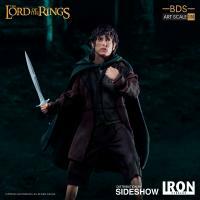 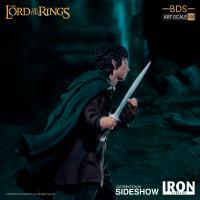 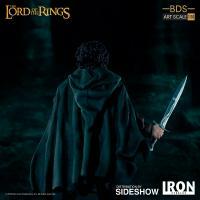 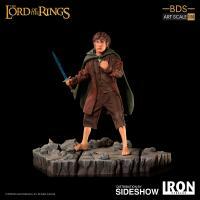 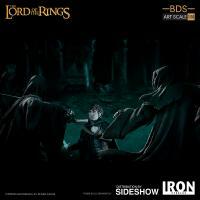 Frodo can be displayed individually as well as part of a battle diorama along with the Nazgul. 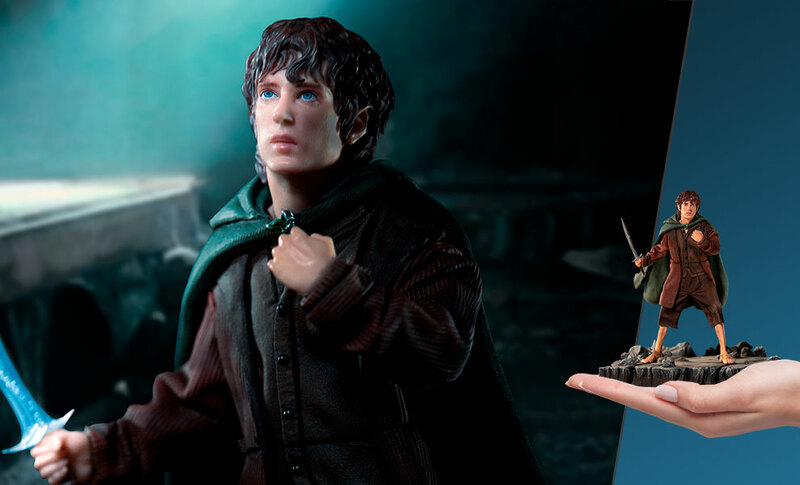 A must-have for fans of The Lord of the Rings! 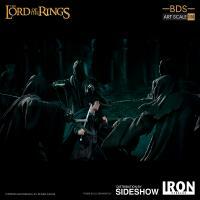 (c) 2010 New Line Productions, Inc. All Rights Reserved.